Most of the business in today’s age have their own business mobile app. Whether you own a small, medium or a large business or an enterprise, everyone requires a right mobile application. The entire credit of the quality of your mobile app goes to the developer. Hence, it is recommended to select wisely when choosing your advanced mobile app development company. Here are a few hints that ought to be useful in the decision of your web developer. For your ingenious mobile application requirement, you need to hire services from one of the best mobile application development firm in India. You’ll need that company as your technology partner to further hire the best Android and iOS application developer for your project. Try to gather information from your friends, colleagues, and family for the names and contacts of good iPhone application developers that they know. An online search will help you in forming a list of a few considerable skilled app developers and iPhone application development company. Additionally, at times you feel hesitant to contact offshore mobile app developers as they are not in a similar system. You can even choose the top app development company by checking a potential company’s portfolio. Hence, pursuing the correct method of examining, planning list, reviewing and finalizing. This is also another crucial factor in choosing an app development company. 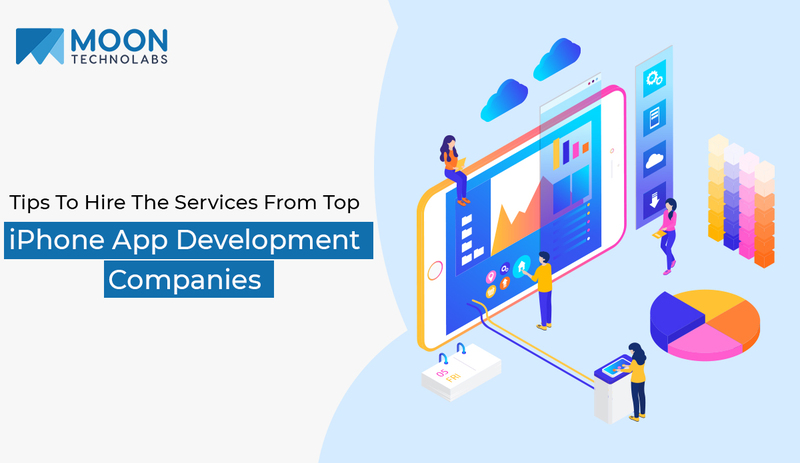 Top app development companies usually have demonstrated a good record of promising apps and one should rather focus on the quality of the apps rather than the number of apps developed by the company. Developing apps requires you to have focused on multiple aspects such as skills, creativity and target audience. i) How long they have been building mobile applications? ii) In which ways they improve the application? Get a diagram from them. iii) An apt mobile developer wouldn’t require to have improvements in the app every now and then. iv) Aware of different stages including Native, Android, Windows, iOS, Hybrid, etc. Every app has a purpose. Not only you need to define it to the app development company to get exactly what you need from the app but also, first of all, you’ll have to understand your precise need for the app. If you are unable to explain it clearly, then there are chances that you might not be able to take complete advantage from the company. Though you might be having the app idea from the same industry segment and share the same idea or concept, but still study about the similar apps from the app store. You’ll have to showcase something unique from your available competition to stand out in the market industry. It is good that you checked various factors of a mobile app developer or a top iPhone app development company before hiring their services to either build a new or improve on your existing business app. In any case, it is better to meet the team, project manager, etc to see in person as developing an app requires time and it is necessary to build trust before the work begins. You can converse with the following points. You have many points to dip your feet into such as UI/UX approach, API combination, existing site and find out about their research work to get the complete hands-on idea about the project. You can have your app developed from a freelancer but you can’t be assured to be dependent for the after-phase of the app. Mobile applications constantly undergo a change from time to time. New improvements, bug fixes, addition of products and/or services, expanding into various business line, all these require expansion and to accomplish it, you need to rely on a trustworthy and professional mobile app development company rather than an individual. It is only a company that can offer the kind of continuity you need. Take your time in finding and hiring the service from a mobile app developer or a company. So, do not rush things and take a decision wisely after carefully analyzing every little detail. You need to ensure that you are getting the best in terms of being pocket-friendly app yet a robust and having power-packed performance with latest tools, features, and functionalities. Still, have a few inquiries at the top of the priority list, Moon Technolabs have answers for every one of them.